Adorable stuffed animal pattern includes turtle, elephant, and boy & girl penguin. 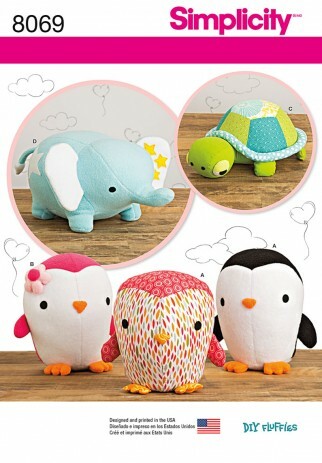 Make animals in fleece for a soft squeezable friend, or in mixed prints for a fun look. DIY Fluffies for Simplicity.